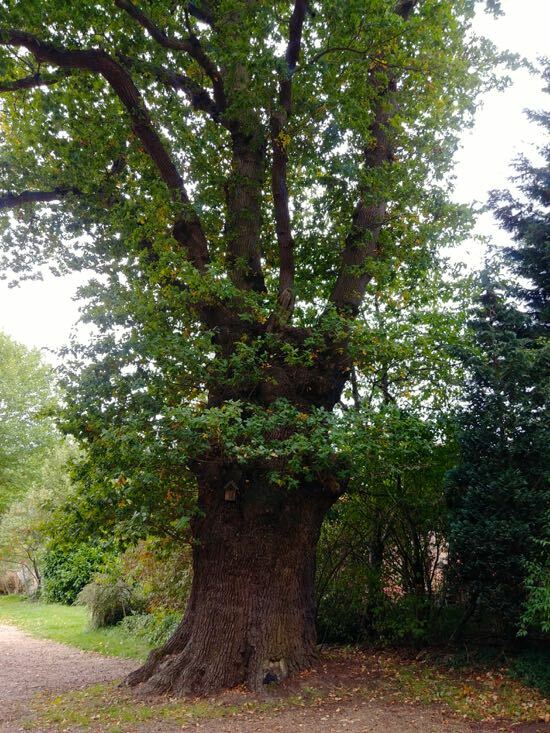 North Mymms News and the North Mymms History Project need your help in locating the oldest trees in the parish as part of a national effort to record, protect, and help preserve the country's arboreal history. 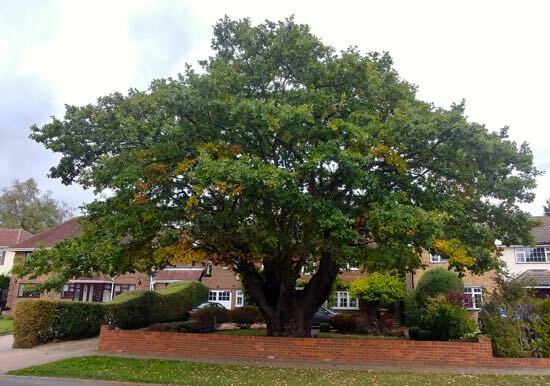 The Woodland Trust has set up an ancient tree inventory where anyone can add details of any trees that match the project's criteria. The trees fall into three categories: ancient, veteran, and notable. Some are on private property, others are in public areas. The Woodland Trust has created a map where registered users (it's free to register) can place a marker and add details of the tree along with any photographs. The Trust will then verify the find, and help categories the tree. If you search for North Mymms on the Woodland Trust map you will see the various categories of trees that have been recorded in the parish. This site has uploaded dozens of trees to the Woodland Trust site, along with descriptions and photographs. We are currently waiting for the Woodland Trust to verify the entries. And this is where local tree lovers, walkers, and anyone interested in local history can join in. 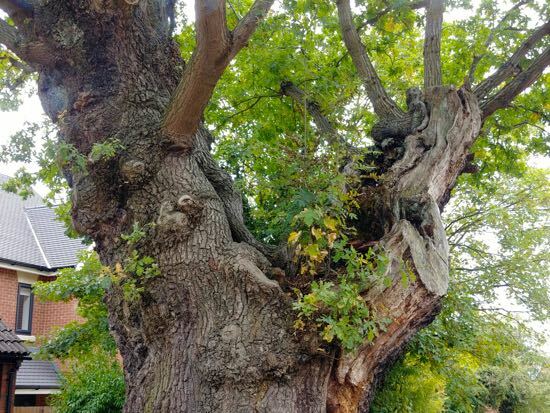 The North Mymms History Project and North Mymms News are keen to enlist your help so we can use this facility provided by the Woodland Trust, to produce a comprehensive map of the ancient, veteran, and notable trees in the parish. We have made a start as you can see if you click on the interactive map below. But there are many trees we have not yet registered, and we need everybody's help. If you see a North Mymms tree that is currently not on the map, consider adding it to the Woodland Trust database. Find and plot the location of the tree, add a grid reference if you can. If you can take a photo please consider doing so. Once uploaed, your tree record will automatically be sent for checking and approval by one of the Woodland Trust verifiers. When it's verified you will be notified. Let this site know and we will include the data and image to the North Mymms interactive map. The North Mymms History Project's own map is taking shape. We have already plotted the trees verified on the Woodland Trust site. However, we noticed when zooming in on the Woodland Trust map that the markings were not spot on. For example, some of the markers for trees in North Mymms Park were on open land with no tree in view (using the satellite mode). We have tried our best to mark those position to the closest tree on our map, below. We will continue to update this map as the recording we submit to the Woodland Trust site are verified, and as more listings are added. So please take photographs of any North Mymms trees you think might fit the categories listed. You will also need to measure or estimate the girth of the tree - the Woodland Trust site explains how. If that sounds too complicated, a simple way is to hug the tree and then measure your hugs. For example, my hug is 1.7m. So if a tree is two and a half hugs, it's roughly 4.2m. But don't trespass. If the tree is on private land just guess the width. You can make it clear when you upload your information to the database that it was an estimate. Once you have the location, the girth, and a photograph, upload your findings to the Woodland Trust site, and, once verified, we will then update our local records to reflect your discovery. If you are happy for the North Mymms History Project to use any pictures you take, please make clear when you upload them to the Woodland Trust site that your image is released under Creative Commons for anyone to use.